Designwise it will be the same as the regular version. A unibody metal back with vertically stacked cameras and a physical fingerprint sensor. In the front side, it will have a 6.2 inches Full HD+ IPS LCD panel with 1080x2246 resolution. It will have an aspect ratio of 18.7:9 with 402 PPI pixel density. No display protection has been confirmed yet. The Lenovo S5 Pro has a Snapdragon 636 under the hood. The the GT version has an upgraded processor which can be the first time on the budget. It will carry a Snapdragon 660 under it which is an octa core based processor clocked at 2.2 GHz. It has the Adreno 512 GPU with it that provides great graphics experience. It will be coming with the Android 8.1 out of the box with ZUI10 on top of it. 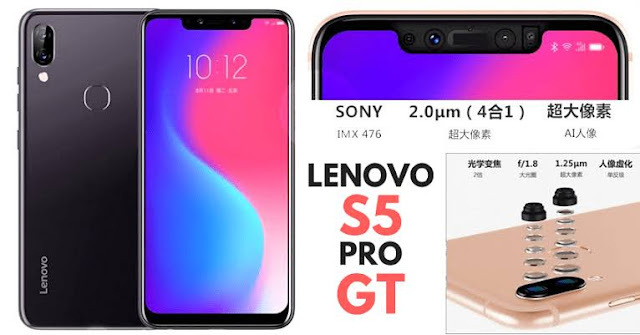 Lenovo could make it the Android pie as it has been almost half a year since the latest Android version has been launched. The camera module will remain same as the regular version. In the rear side, a 12 MP sensor with f/1.8 aperture will work as the main camera. The secondary 20 MP sensor with f/2.6 aperture will work as a telephoto lens that can provide 2x optical zoom feature. In the front side, there with be a dual camera setup with a 20 MP main selfie shooter with f/2.0 aperture. The other 8 MP sensor will work as a IR camera for face unlocking purpose. The rear camera will support 4K video recording and HDR mode. 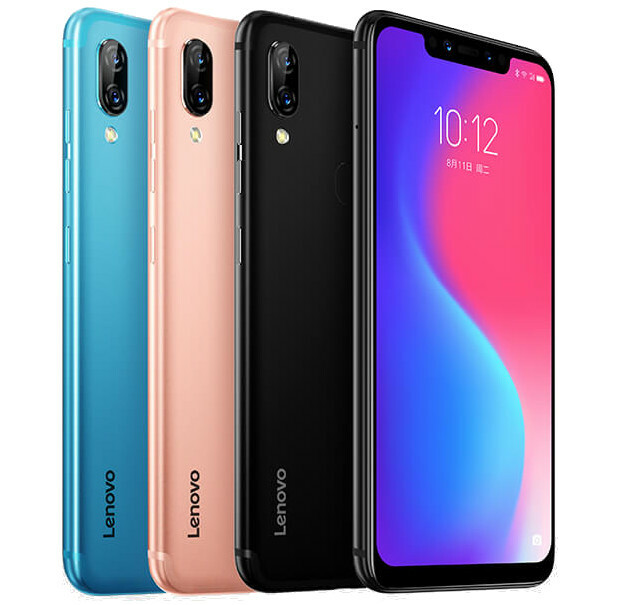 The Lenovo S5 Pro will be available in three variants. The base variant will have 4GB of ram along with 64 GB on board storage which will be priced at CNY 1198 ( approx 12,200/- INR). The mediocre will bring 6 GB of ram option with same 64 GB storage option and is priced at CNY 1298 (approx 13,200/+ INR). The final and the most powerful version will carry 6 GB of ram with 128 GB storage and will cost CNY 1498 (approx 15,200/- INR). 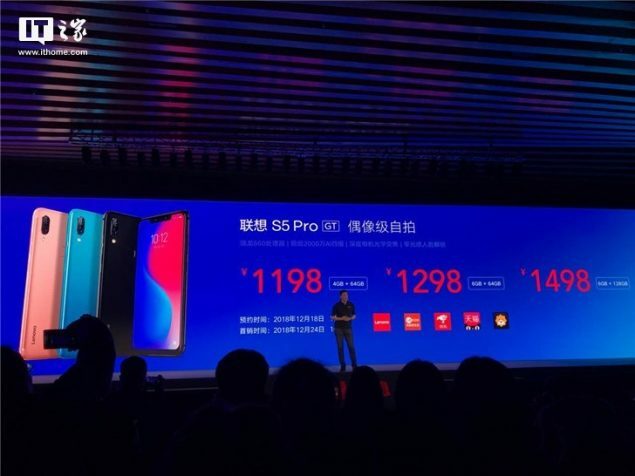 We can say that the pricing of the phones are really very aggresive and can capture a big market in the smartphone industry. Inspite of having nicer processors and bigger camera modules, Lenovo's smartphones of 2018 always have an average battery overall. This phone also has an 3500 maH battery that can be disappointing for some consumers. Hope they upgrade it in the upcoming year. The connectivity section will be featuring Wi-Fi 802.11 a/b/g/n/ac, dual-band, Wi-Fi Direct, hotspot, Bluetooth 5.0, USB type c with 18W fast charging support. The Lenovo S5 Pro GT will be available for sale from December 24 in China. It is now only available for pre-order. But Indians are still very far from getting it in their hands as Lenovo didn't bring the high end phones in India in 2018. Hope they listen to us soon and bring their smartphones very soon in India. Also check: 1. Asus's Zenfone Max Pro M2 vs Xiaomi's Redmi Note 6 Pro: Is the competetion still the same?